If you’re new to the world of tea, the menu at your local coffee shop may prove overwhelming. There are so many different kinds, all promising a unique blend of flavors. So, which do you choose? To better understand your options, simply consult this guide from Coffee Bean & Tea Leaf. 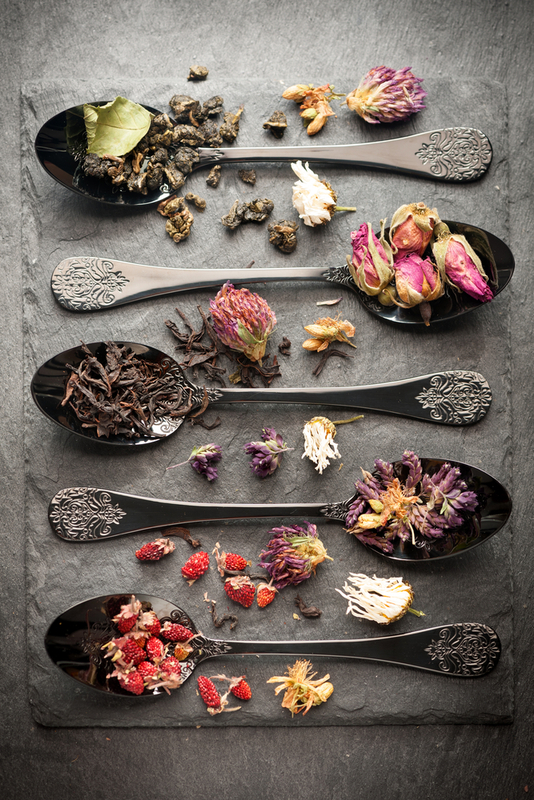 It breaks down the five major varieties of tea, so you know exactly what’s in your cup. White tea is minimally processed and offers the most delicate flavors and aromas out of all the loose leaf teas. It often evokes gentle nuances of bamboos, almonds, or even floral bouquets. Like white, green tea is unoxidized, allowing the beverage to keep its signature color. Japanese and Chinese variations also use a different processing process. However, both yield mouth-watering flavors and added health benefits that attract tea drinkers new and old. Oolong, or Wu Long, is semi-oxidized and originates from both China and Taiwan. The leaves are often larger and more mature, giving the tea one of the widest arrays of flavors and aromas. If you’ve never tried it before, CBTL suggests sampling their Spring Peach Oolong Tea Bags! Fully oxidized, black tea is the most well-known type in Europe and the U.S. Most Western countries serve the beverage as a “blend” in which multiple types of black tea are mixed together. For instance, you’ve probably heard of breakfast blends or afternoon teas. Herbal infusion teas are fermented, rather than oxidized. They contain large leaves that have been aged for multiple years, thus drastically changing the drink’s flavor profile. As the name suggests, these teas taste earthy and mellow. Find your Favorite at Your Local CBTL! Ready to give these five teas a try? Visit your local Coffee Bean & Tea Leaf today! To order loose leaf tea or tea bags, check out their website.